Amanda DeFeo graduated from Touro Law Center where she was a Senior Staff member of the Touro Law Review and an Honor Program Scholar. She received a Bachelor of Arts degree from Fordham University in 2013. She is currently awaiting admission to practice law before the Courts of New York State. While in law school, Ms. DeFeo interned with the Honorable Judge Silver the Deputy Chief Administrative Judge for NYC Courts. Under Honorable Silver, she drafted initial decisions on motions related to medical malpractice, personal injury matters, and participated in settlement discussions. She also interned as a judicial law clerk with the Honorable William G. Ford, Justice of the Supreme Court, Suffolk County where she assisted with a general civil docket comprised mainly of personal injury, contract, real property, and residential foreclosure matters in various phases of litigation through pretrial disclosure, motion practice and trial. Ms. DeFeo has assisted victims of Superstorm Sandy through the Federal Emergency Management Agency (FEMA) and New York Rising in Touro’s disaster relief clinic. She has conducted extensive pro-bono hours assisting disaster relief victims and their families with their claim review process and third-party neutral hearings regarding home repair, rent, mortgage payments, and personal property damage. 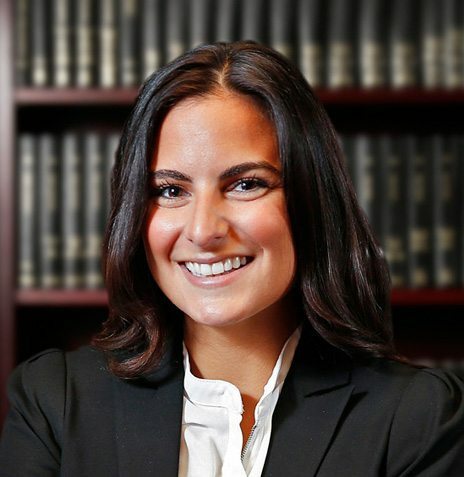 As a member of PMT for over 7 years, Ms. DeFeo has been involved in all aspects of litigation. She specializes in personal injury and construction related litigation.